in a comfortable, supportive environment. Speech and language services in your home. Mary Gordon-Brannan is a speech-language pathologist in Portland, OR. Practice Type: • Office Practice Areas: • Speech Language Pathology • Articulation and Phonological Process Disorders Take the next step and contact Mary Gordon-Brannan for a consultation in Portland, OR or to get more information. Elizabeth Nesser is a speech-language pathologist in Portland, OR. Practice Type: • Outpatient Rehabilitation Center Practice Areas: • Speech Language Pathology • Speech Therapy Take the next step and contact Elizabeth Nesser for a consultation in Portland, OR or to get more information. Mara McLoughlin is a speech-language pathologist in Portland, OR. Practice Type: • Self-Employed Practice Areas: • Speech Language Pathology • Accent Modification • Autism • Voice Disorders Take the next step and contact Mara McLoughlin for a consultation in Portland, OR or to get more information. Misako Suzuki is a speech-language pathologist in Wilsonville, OR. 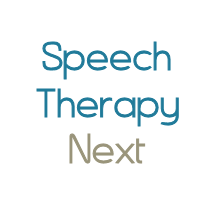 Practice Type: • Office Practice Areas: • Speech Language Pathology • Speech Therapy Take the next step and contact Misako Suzuki for a consultation in Wilsonville, OR or to get more information.